Bring this Artistic Weavers Uberaba area rug into your dining room for an easy splash of style. Quality meets modern style in this indoor rug made out of plush wool material. This hand-made rug will make a bold statement in your home that lasts. Quality interior design comes in the form of this geometric patterned yellow rug. This Artistic Weavers Elorza area rug is a great high-quality option for livening up your home. Crafted to be an indoor piece, its plush wool material is unique and comfy at the same time. This rug is hand-made for convenience and quality combined. Keep things classy, yet high-quality with this solid patterned off-white rug. Uberaba Yellow 5 ft. x 8 ft. Indoor Contemporary Rectangular Area Rug Bring this Artistic Weavers Uberaba area rug into your dining room for an easy splash of style. Quality meets modern style in this indoor rug made out of plush wool material. This hand-made rug will make a bold statement in your home that lasts. 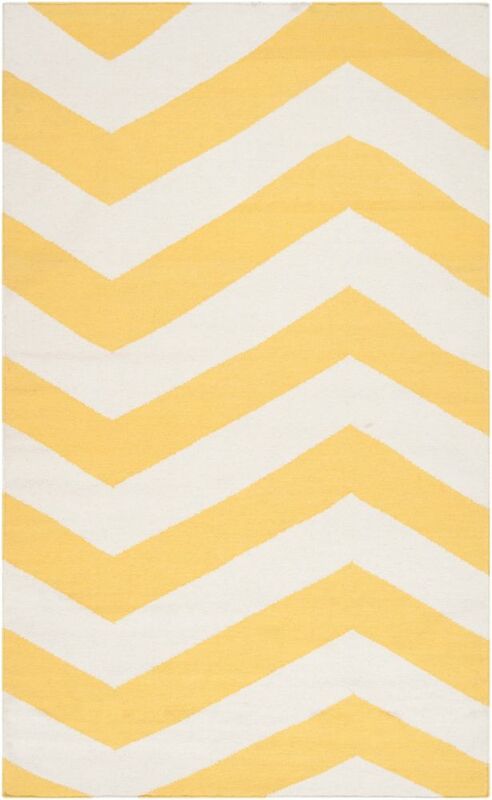 Quality interior design comes in the form of this geometric patterned yellow rug.